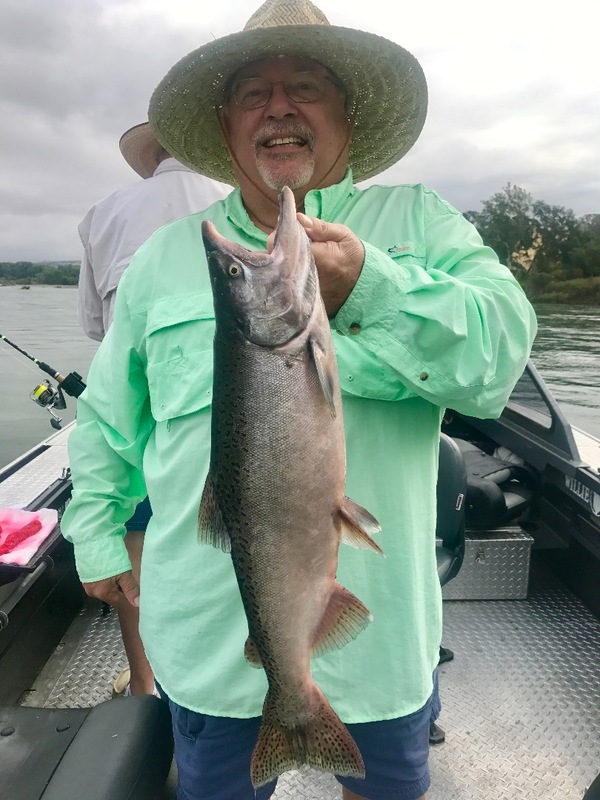 Jerry has been waiting for this salmon for a long time and today he caught two! 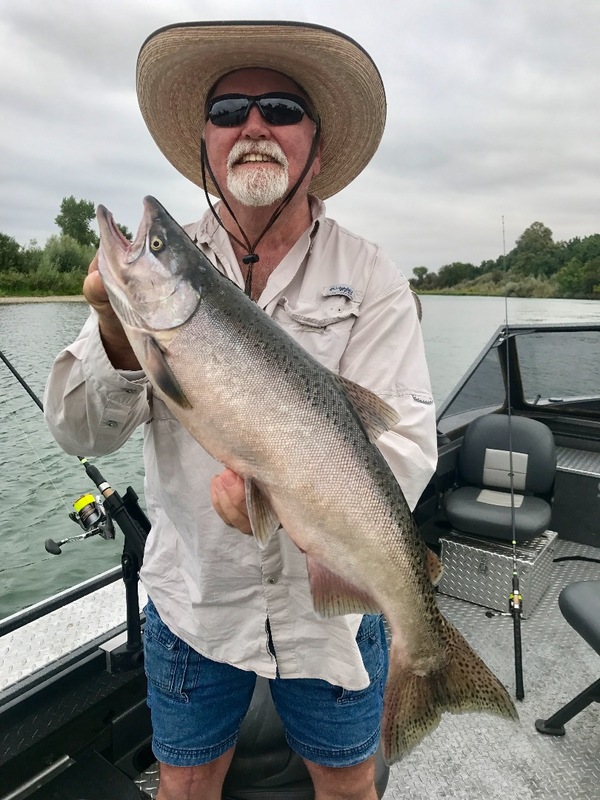 This is an average size King salmon this year on the Sacramento River. 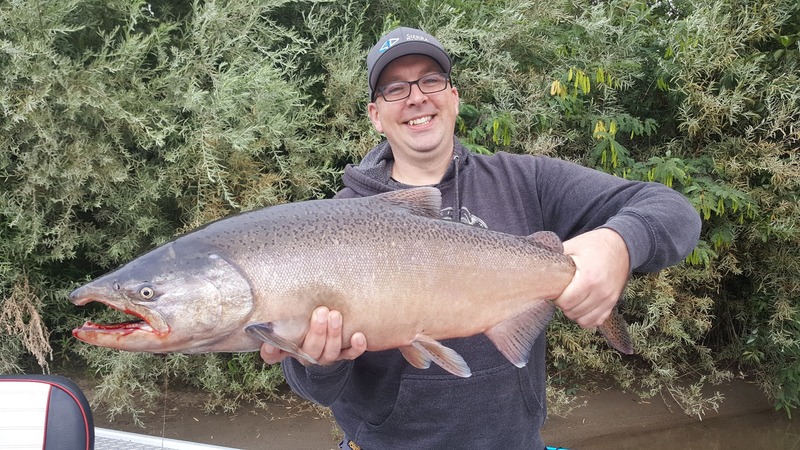 We are seeing some larger fish too, but for now, we'll just have to be happy to have any fish at all!